Our easy-to-follow Facilitator Guide has been designed to take the guesswork out of how to prepare for a group meeting. It can be used for meetings both inside and outside of correctional facilities. It contains information about the difference between facilitating and teaching, easy-to-understand Discussion Guidelines, a suggested Meeting Format, a Session Breakdown, a Sign-In Sheet, and a Facilitator’s Group Evaluation to help you evaluate how your meeting went. Detailed discussion questions have also been provided to simplify your preparation. At this time the Facilitator Guide is only available in English. The Facilitator Guide is $25.00 and includes 1 study guide. It is NOT PERMITTED in any correctional institution. PLEASE NOTE: The study guide, Walking the 12 Steps with Jesus Christ, is under copyright. Any reproduction of its material in whole or in part is expressly prohibited. 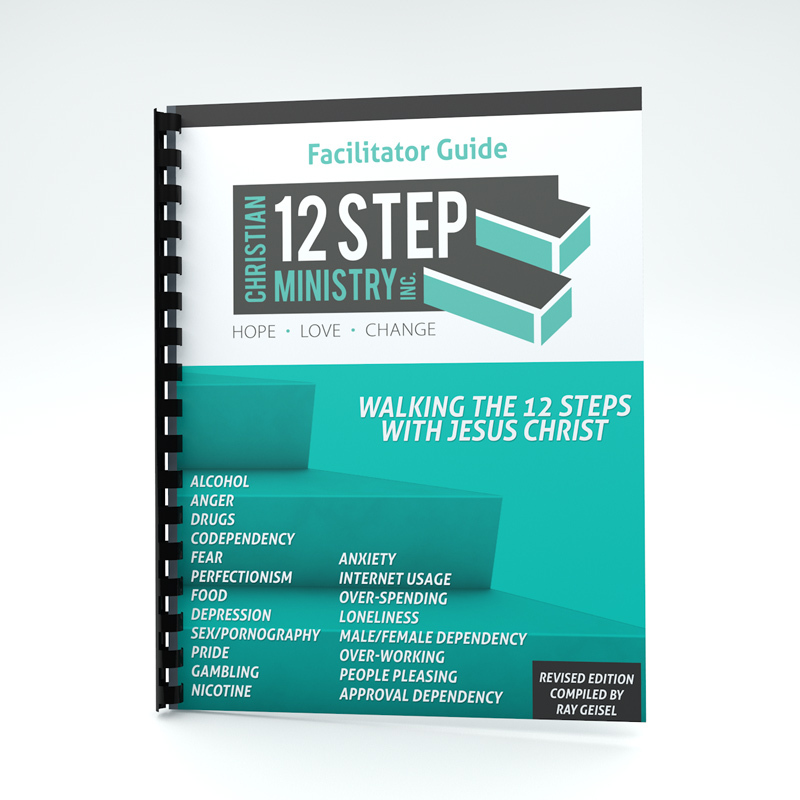 Walking the 12 Steps with Jesus Christ is a Christ-centered study guide for use in recovery from addiction, emotional strongholds, and codependency. Many who have recognized Jesus as their “Higher Power” have overcome addictions of all kinds and learned to live Spirit-filled lives. 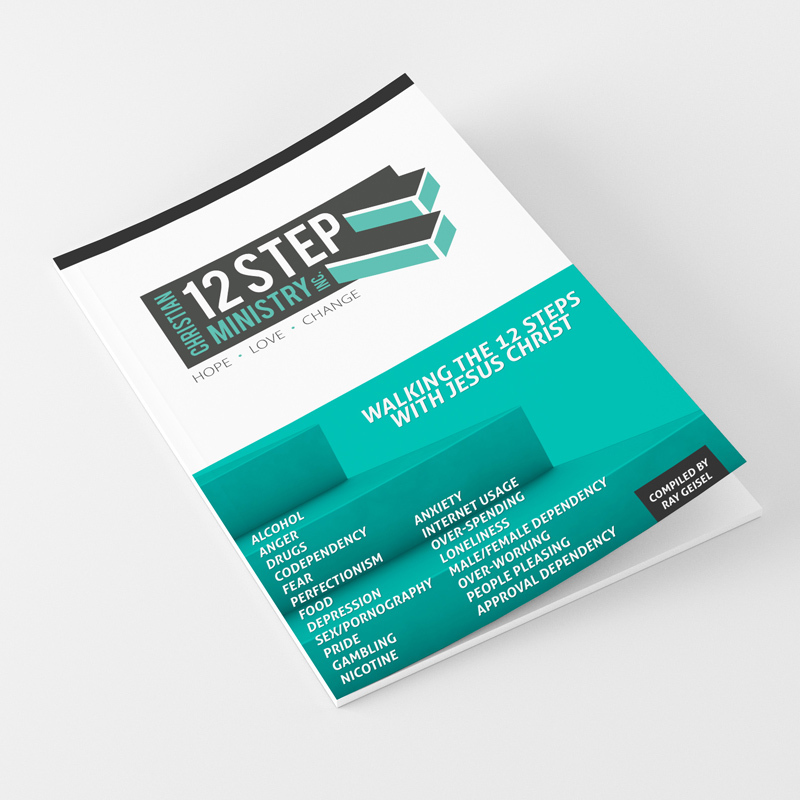 This study can: reinforce your regular 12 Step meeting, give you a Biblical basis for Jesus as your “Higher Power,” help you heal from hurtful life events, and strengthen your Christian walk. For an overview of our study click here. PLEASE NOTE: This study guide is under copyright. Any reproduction of this material in whole or in part is expressly prohibited. US SHIPPING IS INCLUDED IN THE PRICE. PLEASE CALL OR CONTACT US ONLINE FOR INTERNATIONAL SHIPPING BEFORE YOU ORDER. DIAL 1 (352) 732-0877 FOR INTERNATIONAL SHIPPING! If you are outside the United States, please contact us for International Shipping options! Note: 1 study guide included with the purchase of a Facilitator Manual. The Facilitator Guide is NOT PERMITTED in any correctional institution.